Hey all, here I am with another 90 Day Music Licensing Challenge update. If you’ve been following along you’ll remember a post I made about my demos being rejected as well as why they were rejected. Here’s a quick follow up to that post outlining my corrective actions and the results I’ve received from them. The libraries that rejected my demo due to it’s length have now been sent full versions of each track (in the demo). I just spiced them up a little. I added an intro, outro and altered versions of the hook and verse. I’m actually glad I took the time to rework the demo because it brought forth more ideas, more inspiration. The more inspiration the better, can never have too much of it. Long story short, I re-uploaded the demo and received confirmation emails within minutes. Then it hit me, I didn’t even bother checking for confirmations the 1st go round. Most of the time the confirmation is an automated response. I was getting so many I just assumed they everything went through. So much for assuming. How’d The Files Get Corrupt? They didn’t upload completely. Between uploading the demos, project files and updating my site, there was a connection glitch somewhere. The project files uploaded fine, I’m sure the client would have notified me if there was an issue. I took a little time to go through my server logs (uploading history) and found 6 files that were incomplete, each 50-70 megs. Now, I’d expect this issue with the project files because they’re a lot bigger (1-2 gigs each), not so much with smaller files, but what can you do? These things happen. In short, a handful of libraries have now accepted my demo and sent over their licensing contracts/terms. Most were even willing to confirm and give feedback instantly via phone/Skype. There was a little manipulation with this process. I contacted the library(s) and told them I had issues uploading in the past and just wanted to make sure that everything went through smoothly. Not really manipulation, but more so taking full advantage of my situation. This was perfect because It put them in a position where they had to listen to the demo. Well, they didn’t have to, but they did. The next step from there was for them to send over contracts and terms. Most did this while I was on the phone with them. No reason not to, they’re already at the computer (listening to the demo). Now, I wasn’t able to get everyone on the phone, but will over the next week or 2. Do understand, these companies have a lot going on. Just because someone has a phone/email doesn’t mean they’re a slave to it. Cool man, keep it up. You’ll get there some day. I just got into the whole licensing business a couple years ago. Something I always wanted to do and luckily, about two years ago, got hooked up with a company in Hollywood through a Reverbnation promotion. So far since then I have over 80 songs in their catalog exclusively and I have 300 songs in a stock music catalog with another company non exclusively. I’ve already pulled in a couple thousand from songs placed in TV shows and I’ve made about 18k from the blanket non exclusive deal. Now with that deal I have four other composer involved so we all split it up. Would love to hear your material. It takes time brah but it shouldn’t take more than a couple years to see some good change coming in from BMI. I’m thinking I’ll be doing all right in a bout eight more years. This way I can completely shift from producing royalty free loops (my bread and butter at the moment) to producing songs full time for TV and Film. Congrats on the blanket. My first break in licensing was with Upn (back in 2003). Most of my income comes from stock libraries and the rest sound design. This case study is crazy, I didn’t realize there were so many different libraries out there. Rejection is nothing. I have had a few hundred songs rejected from music libraries. One library in particular has rejected 100 out of 100 songs. But I see no need to get sad or complain. To be successful, I have to keep submitting music. That is the only way to get past the sting of rejection. Wow, 100 out of 100 songs rejected? That’s a ton my friend. 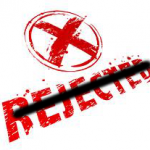 Did you ever find out why they were rejected? Just received an email from BP rejecting to include my music in their library, only a few hours after submitting. My comments would be in explicit language, so I refrain by now. How could they? I’m still under shock! (and yes, I submitted full versions). I’m not sure who ‘BP’ is, but what you have to realize is what’s quality to you, isn’t always going to be quality to other people.